Somehow, Carolina Hurricanes defenseman Justin Faulk was named an all star. Just as surprising, Ottawa Senators captain Erik Karlsson wasn’t. In the midst of another strong season, the offensively gifted Senators star was a notable from the all-star roster. In Erik Karlsson’s rightful place sits the under-qualified Justin Faulk. Is there some logic at work that justifies this call? With 28 points in 40 games, Karlsson is on pace for nearly 60 points this season. 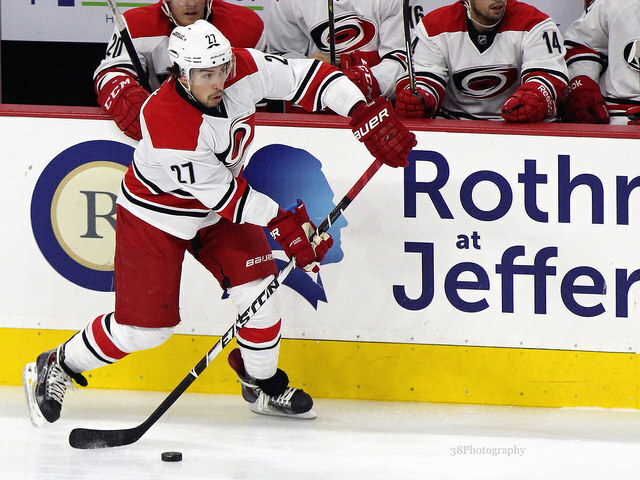 With 24 points in 41 games, Faulk is on pace for exactly 48. Karlsson is third in the NHL for minutes played, average 27:17 minutes of ice time per game. Faulk sits in 21st place with an average of 24:10 minutes per game. Karlsson has a minus-8 rating this season as the scuffling Senators have struggled defensively. Faulk is worse still, having already posted a minus-16 rating this season. Whether comparing regular statistics, advanced statistics, or ice time, it’s tough to find a meaningful measure where Faulk ranks ahead of Erik Karlsson. Yet, Faulk is the all-star while Karlsson is not. Clearly, the NHL has decided to continue to ensure that every NHL team is represented. Carolina’s only representative, Faulk was the best choice among the Hurricanes’ skaters as the defenseman is having a decent season. But, if selecting the league’s true all-stars is the purpose of the game, ignoring a breathtaking offensive defenseman like Erik Karlsson in favour of Carolina’s unspectacular Justin Faulk undermines the integrity of the selection process. 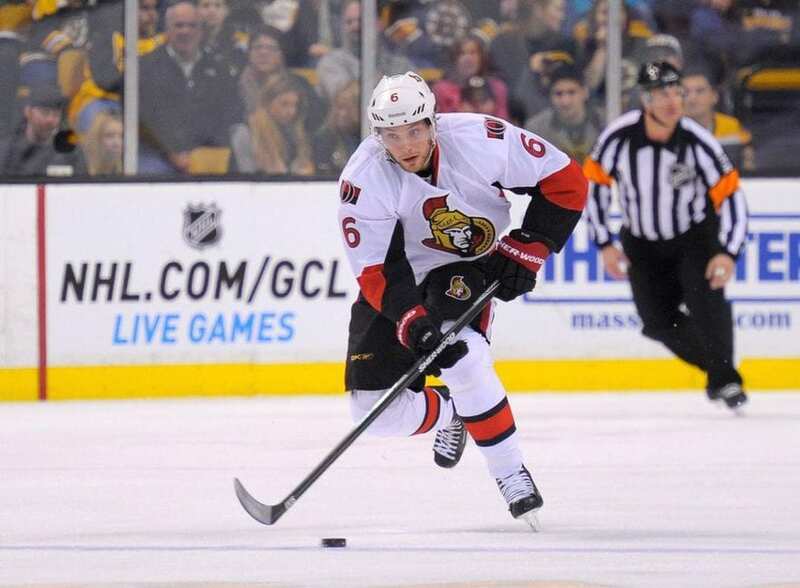 Despite Karlsson’s snubbing, Senators’ forwards Bobby Ryan and Mike Hoffman were selected to represent Ottawa at the 2015 NHL All Star Game. For Ryan, the honour comes as a small surprise. The Sens’ winger has had a decent season so far, with 27 points and a plus-8 rating in 37 games played. Though the numbers won’t knock anyone’s socks off, Ryan’s production has been reasonably good. Hoffman was selected as one of six NHL rookies. As a rookie choice, he will take part in the skills competition but not the All Star Game on January 25th. Hoffman’s numbers have been very good. The Sens skater ranks fourth in rookie points this year, with 20 in 37 games played. With Bobby Ryan and Mike Hoffman off to Columbus for the 2015 All Star Game, fans of the Ottawa Senators have some reasons to celebrate. What do you think, Ottawa Senators fans? Is it enough that Bobby Ryan and Mike Hoffman will go to the All Star Game? Does it make sense for the NHL to ensure that every team is represented at the game, even if stars like Erik Karlsson are passed over for players like Justin Faulk?